We recommend our True Elegance vacation package to guests who wish to explore the luxurious side of France by traveling to Paris, the French Riviera, Provence, and Languedoc-Roussillon. The True Elegance package is a vacation experience that is intent on giving our guests the opportunity to dive into the history, culture, and sophisticated elegance of France. Welcome to Paris! 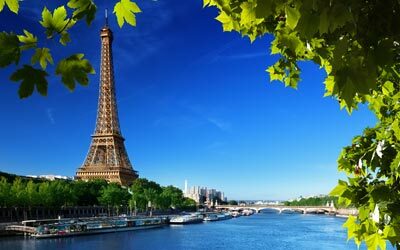 Meet your True France host at the airport in Paris and journey to your luxury Paris hotel for your first night. Having settled into your hotel, head out to explore the city of lights – one of the most renowned cities in the world! Together with your local tour guide, visit the most popular landmarks of Paris like the Eiffel Tower, Arc de Triomphe, Louvre Museum, and Notre Dame Cathedral. 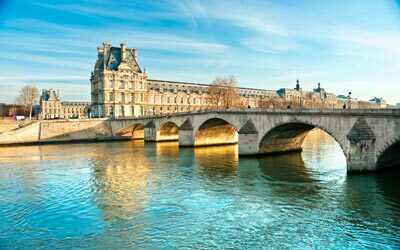 Be sure to enjoy a leisurely stroll along the Seine River and through Paris' famous gardens and parks. Embrace the sights and sounds of Paris, and let yourself get lost in the magic of this remarkable city! 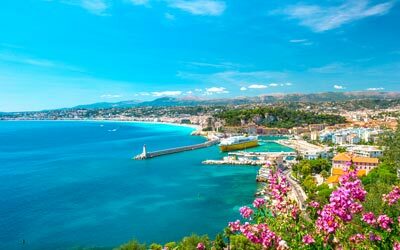 Bienvenue à la Côte d'Azur (Welcome to the French Riviera) – the world famous Mediterranean coast of France. Having checked-in to your luxury boutique resort, venture out to discover the incredible energy and atmosphere that make this part of France so special! Together with your expert guide, immerse yourself in the landscape and local lifestyle that has inspired artists and writers for centuries. Explore cities like Nice, St. Tropez, Cannes, and Monaco and learn about how they’ve become hosts to international events like the Cannes Film Festival and the Monaco Grand Prix. If you’re a beach lover, be sure to soak up some sun at one of the many sandy beaches. Relax and enjoy – the Côte d'Azur is an experience you’ll never forget! 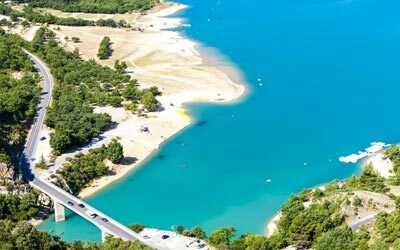 Next you’re off to Provence, one of the most well-known and culturally alive regions of France. Once you’ve checked-in to your authentic Provence boutique hotel, head out to see and experience the vivid landscape and luminous light that inspired artists like Van Gogh and Picasso. Take an insider’s tour with your local private guide and explore historic cities like the UNESCO World heritage site of Avignon, or Arles with its impressive Roman sites and museums that are among the best in the region. Besure to take some time to wander the many charming neighborhoods, discover the beautiful countryside, and dine in traditional French restaurants too! Today you’re off to Languedoc-Roussillon, or more popularly known simply as Languedoc. Check-in to your luxury boutique hotel and then journey out to explore this central region of southern France. Enjoy a private tour with your local guide and immerse yourself in this region’s rich and diverse history. 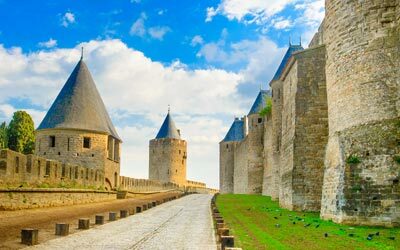 Learn about the incredible cities, Narbonne and how it was the region’s capital under the Romans, Montpellier and how it became the current capital, as well as the fortified city of Carcassonne and how it became a UNESCO World Hertiage Site. As you explore the region, you’ll also discover that the local culture has been influenced by the Spanish Catalonians. From sandy coast to incredible mountain peeks, Languedoc-Roussillon will surely be one of your most treasured memories of France. Having already explored the city, after checking-in to your luxury Paris hotel pick your favorite part and head out to enjoy it for one last evening. Or perhaps you’d like to explore another part of the city that you missed during your first stay. Definitely take advantage of our Paris restaurant recommendations list and enjoy a farewell dinner at one of the city’s top restaurants. We are positive that you’ll leave France full of incredible memories.